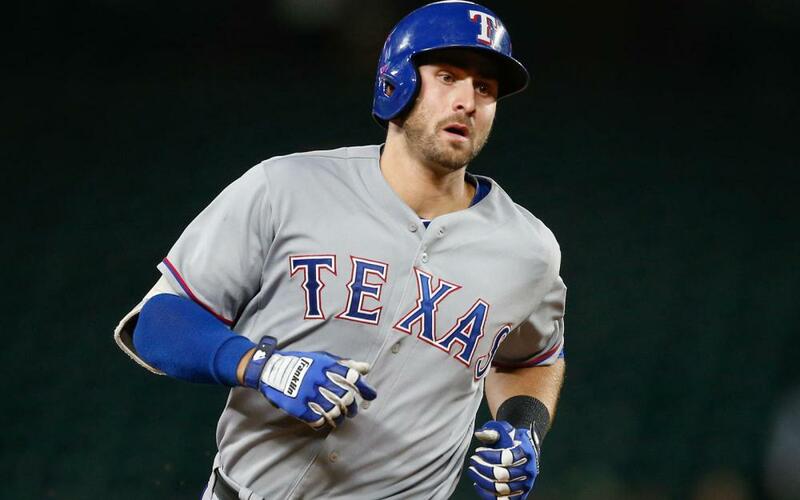 Joey Gallo(OF-TEX) had a very Joey Gallo day, going 1-5 with a 3-run homer, a walk, and a strikeout (just one!) against the Astros on Saturday. So much for Gallo reducing the strikeouts, which a topic of discussion early in the season when he whiffed only 28.8% of the time through the end of April, as his season strikeout rate is up to 35% - not far from the 36.8% clip that he logged last season. Even though he's just 24, it appears more and more that Gallo is basically the new Chris Carter, the epitome of the three-true-outcomes player - lots of homers (26), lots of walks (13.5%), and piles of strikeouts (35%); 55.1% of his at-bats in 2018 have ended in one of those results. Speaking of Chris Carter, how doesn't he have a gig in the big-leagues if he has clones like Gallo earning regular at-bats? Jose Abreu (1B-CWS) enjoyed a solid game on Saturday against the Blue Jays, going 2-4 with a double. Overall, his 2018 season has been pretty meh, as he's now batting .260 with 16 homers and 52 RBI. Just one year after posting a 4.2 WAR en route to a .304/33/102 campaign, he's been good for just a 0.4 WAR so far this season. One might assume that years of being marooned with a lousy White Sox team has worn him down, but a look under the hood reveals that perhaps he's just run into some poor luck. For example, he's posted a .288 BABIP, well below his career clip of .329, despite logging a hard-hit rate of 35% and recording groundball (45.5%), flyball (35%), and liner (19.4%) rates pretty close to his career figures (35.8%, 45.8%, 33.6%, and 20.6%, respectively). And he's still striking out at a modest clip for a slugger (18.7% this year, 19.3% career). The good news is that he's historically been a stronger second-half player, as evidenced by his .289 average and .820 OPS before the All-Star break in 2015-2017 versus a .305 average and .904 OPS after during that same stretch. Given that nothing seems out of whack with his peripherals, I'd expect some correction toward the mean in average and power going forward. Lourdes Gurriel, Jr. (SS-TOR) went 2-5 with a pair of RBI against the White Sox on Saturday, extending his multi-hit streak to 10 games. Currently batting out of the 2-hole for the Blue Jays, the 24 year-old is making a case for fantasy relevance. This is just his second season of playing professionally in the United States, so it's tough to get a feel for what he can be. Across three stops spanning Double-A to the majors this season, he hasn't batted less than .281 and has amassed a total of 13 homers, 59 RBI, 52 runs scored, and 5 stolen bases over 340 combined plate appearances. Although he doesn't walk much (just 2.1% so far in the majors this season) and strikes out a decent bit (20.4%), he does make some hard contact (31.4%) and hits a fair amount of liners (22.9%) and flyballs (34.3%). If you need help at shortstop, why not add him and see how long he stays hot? Trey Mancini (OF-BAL) showed signs of life against the Rays on Saturday with a 4-4 effort that included a 2-run home run and 3 runs scored. Coming off a 2017 season in which he batted .293 with 24 homers, many fantasy experts expected Mancini to break out in 2018. But he hasn't, as he has recorded a .229 average to go along with 13 homers, 29 RBI, and 43 runs scored in 398 plate appearances. A drop in hard contact is likely part of the issue, as he logged a 34.1% hard-hit rate last year, but only a 31.3% clip so far this season. At the same time, his groundball rate has climbed from an already worrisome 51% in 2017 to 57.1% this year. Consequently, he has recorded a .276 BABIP that sits well below last season's .352 (his minor league record indicates that this wasn't unreasonable for him). It's possible that he turns things around in 2018, but his 2017 splits cause further concern, as he hit .312 with an .892 OPS prior to the All-Star break and .276 with a .766 OPS afterward. Buuuuuut... maybe that turnaround has already started, as he's hitting .367 (11-30) since the All-Star break. He's definitely worth watching just in case. Luis Severino (SP-NYY) got shelled by the pathetic Royals in the first game of Saturday's doubleheader, coughing up 6 earned runs on 8 hits and 1 walk while striking out 5 across 4.1 innings of work. This marks 2 consecutive clunkers for the Yankees fireballer since the All-Star break, as he also gave up 6 earned runs in 5 innings against the Rays on the 23rd. Barring an injury that might be hurting his performance (which seems doubtful since his velocity seemed fine on Saturday), I wouldn't worry about Severino going forward. It seems like his rough start to the second half might simply be a bit of regression to the mean, as he entered Saturday's outing with a 2.63 ERA versus a 3.10 xFIP and 3.19 SIERA. He's just been a little too hittable lately, as he's only walked 1 batter over those two losses, and he's continued to whiff batters as a high rate (13 punchouts over those 9.1 innings of work). So, Severino will be fine - it's just a matter of an excellent young pitcher hitting a slump that moves his surface numbers toward his peripherals.